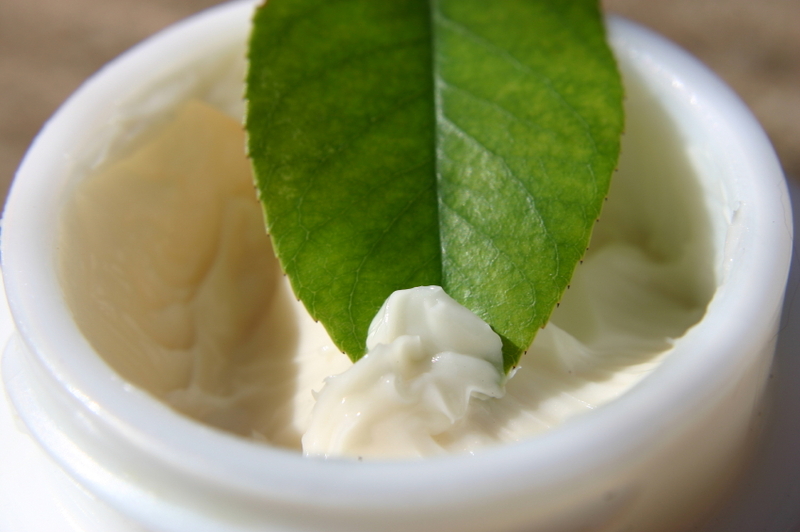 You may be thinking if a collagen cream will work to keep your skin looking young? Collagen is the main protein found in connective tissue and is found only in animals. Collagen makes up 25-35% of the total body protein content. This makes it the most common protein in humans and animals. The word collagen comes from the Greek word, “kolla” meaning glue and “-gen” meaning producing. Collagen provides great elastic strength and gives tissues support and structure. It is present in skin, blood vessels, connective tissue, muscle, ligaments, tendons, cartilage and bone. In skin, collagen and soft keratin are responsible for the skin’s strength, elasticity, firmness and youthfulness. As people age, the body makes less collagen. Collagen also breaks down faster. This results in sagging (less elastic) skin, loss of facial volume plus the development of crow’s feet, wrinkles and lines. Vitamin C is needed for the correct assembly of collagen fibers. In the past, a lack of vitamin C caused the disease “scurvy“. Scurvy is a painful condition in which defective collagen fibers make connective tissue weak. Besides aging, there are other factors that result in lower collagen levels. Genetics and lifestyle choices such as smoking, a diet rich in sugar and processed foods and too much sun exposure, can all result in lower collagen levels. Studies suggest that psychological and physical stress can lower collagen levels. Cortisol is released in the body in response to stress. Stress, therefore, promotes the breakdown of collagen. As a result, constant stress will make your skin weaker and look older. A recent study reports that quick-changing weather patterns (cold-warm-cold), like we have seen in the winter of 2017, result a thicker skin and lower levels of collagen. Because of this, long winters make your skin rough and dull-looking. Many anti-wrinkle creams available today contain collagen. Collagen is a very large protein that is made up of 3 separate protein strings. Collagen by itself is too large to pass through the skin and enter the cells to have any effect. It is not clear however, if a collagen cream helps to reduce the appearance of fine lines and wrinkles by itself. 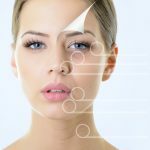 Despite that, many people are looking for anti-wrinkle creams with collagen and other ingredients to fight the effects of aging on their skin. The collagen found in many anti-wrinkle creams often comes from animal sources. It frequently occurs in a hydrolyzed form, meaning broken down into smaller chunks. Gelatin, which is a food ingredient used to thicken recipes, is collagen that has been completely broken down. But there are also ingredients that will help the making of collagen, such as peptides, amino acids and vitamin C. Boosting the skin’s natural collagen production will make the skin more elastic, stronger and with more volume. Reverta’s Anti-aging Cream also contains (hydrolyzed) collagen (from a marine source). It’s never too late to start treating wrinkles. If you are worried about sagging or loose skin or you would like to fight the early signs of aging, you should consider a skin cream with collagen and collagen-boosting ingredients. 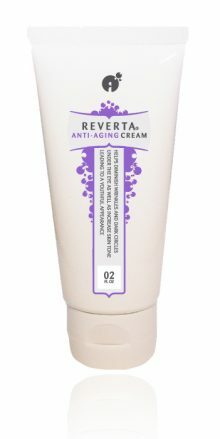 Reverta’s Anti-wrinkle Cream contains collagen and other effective wrinkle-fighting ingredients. Houck, J.C., Sharma, V.K., Patel, Y.M. and Gladner, J.A. (1968). Induction of Collagenolytic and Proteolytic Activities by Anti-Inflammatory Drugs in the Skin and Fibroblasts. Biochem. Pharmacol. 17: 2081–2090. Boutrand, L.B., Thépot, A., Muther, C., Boher, A., Robic, J., Guéré, C., Vié, K, Damour, O. and Lamartine, J. (2017) Repeated short climatic change affects the epidermal differentiation program and leads to matrix remodeling in a human organotypic skin model. Clin. Cosmet. Investig. Dermatol. 10:43-50.